Hopefully you have asked yourself what to eat before a marathon as your pre-race meal before the day before the marathon actually arrives! Let’s talk about though what makes a great pre race meal for runners running a marathon the following day. What should the meal consist of and ideally when you want to eat it. What is the goal in a pre-race meal? Exercise Physiologist, William McArdle says that the precompetition meal should provide adequate carbohydrate energy and ensure optimal hydration. It should “maximize muscle and liver glycogen storage and provide glucose for intestinal absorption during exercise”. You should therefore never even consider doing a period of fasting before a race as it would be physiologically detrimental to your performance. 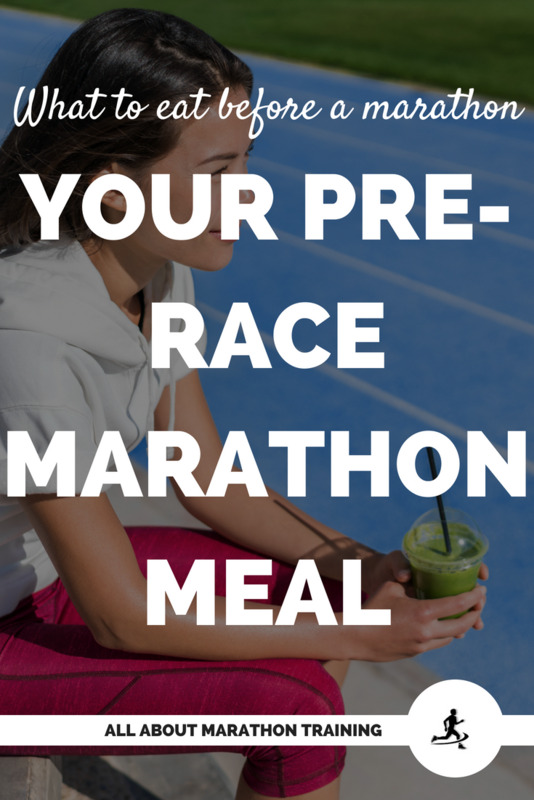 When to eat your pre-race meal? No matter when your marathon is scheduled to begin you want to end your pre-race meal at least 3-4 hours before the marathon begins. 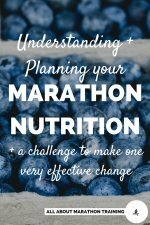 This is because it will take about 3-4 hours to completely digest and store the energy into your muscles and liver from your meal to be available as energy during your marathon. 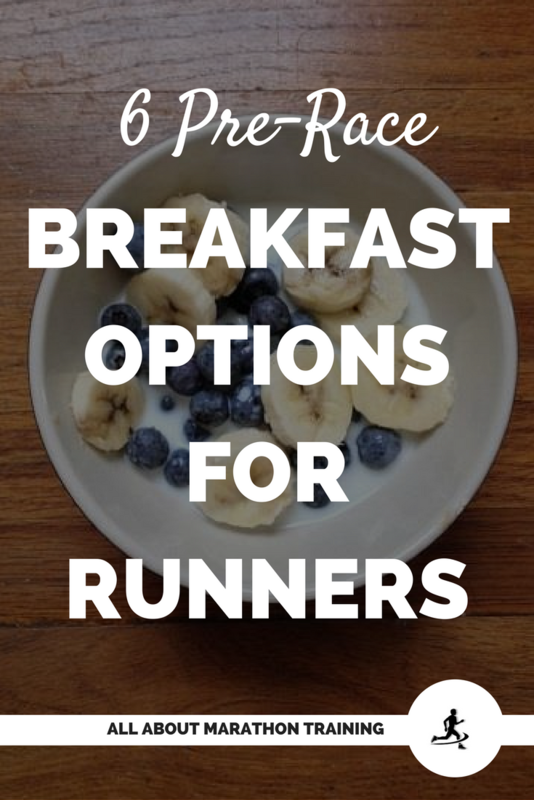 What should your pre-race meal consist of? Mainly carbohydrates! 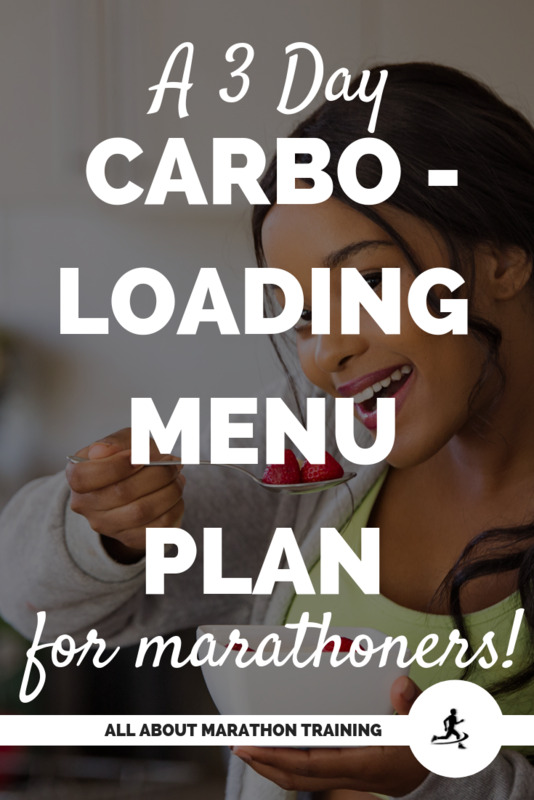 In fact, your pre-race meal should be the end to your carbo-loading plan that you have probably been following leading up to your marathon. 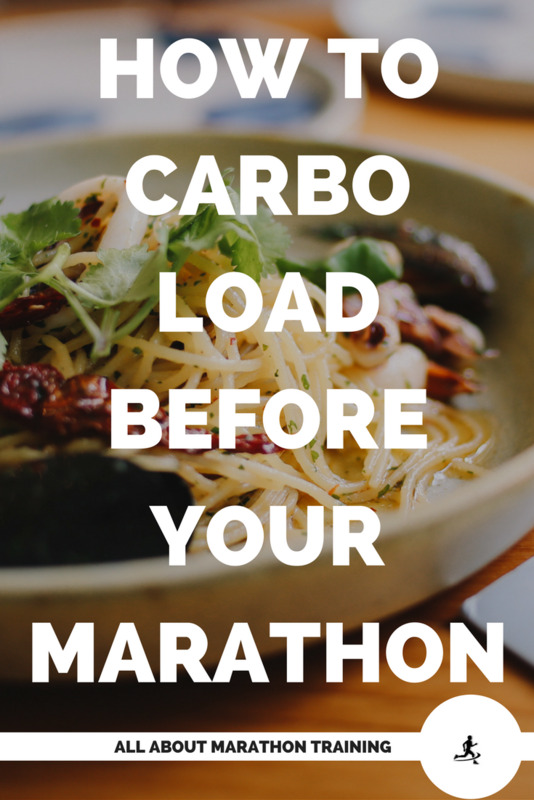 Here is why + how you can carbo-load before a marathon. They provide energy quickly to your body. They do not make you feel overly full such as a high fat or high protein meal does. High protein meals call for more energy to aid in digestion (instead of being used to aid in your running). Protein metabolism can cause you to become dehydrated sooner due to amino acids breaking down and the needing to be excreted causing water to be pulled from your cells. And last, but most importantly, because carbohydrates are your primary fuel source during the marathon! Consume about 3-5 grams of carbohydrates per kilogram of body weight. This is a range depending on how much you already weigh. If you do not know what your body weight in kilograms is then here is the simple conversion from pounds to kilograms. What about eating an energy bar? Nutritional energy bars can provide a quick blast of necessary nutrients before your marathon however they usually are higher in protein and fatty acids. They also are typically not assessmed by the FDA and so the claims and macronutrient labels have not be validated. The bottom line is that they may be effective for you but should be combined with other foods. 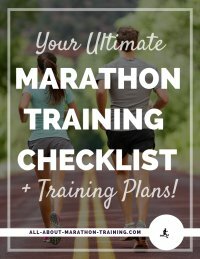 What to eat before a marathon? Like right before. If you simply cannot eat before a marathon or prior to 4 hours before your marathon start time then you will want to obtain your nutrients through a liquid drink, specifically through your energy drink. Here are a couple of pre-race dinner ideas for the night before your marathon! Foods that delay stomach emptying or that cause you digestive distress. Sources used: Katch, Frank I., et al. Sports and Exercise Nutrition. Lippincott Williams and Wilkins, 2012.